The broad Zambezi River plunges 100m (330ft) into the thunderous chasm of the gorge below. One of the most spectacular natural wonders of the world, the Victoria Falls is an adventurer’s paradise. Visitors will never be bored with countless activities available to them. 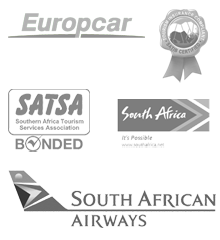 River rafting, tiger fishing, guided walks, abseiling, rock climbing and elephant-back safaris are just some of these. Flying above the falls in a micro-light aircraft offers breathtaking views. 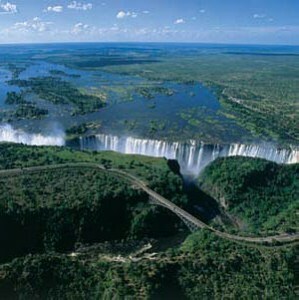 To really get the adrenaline pumping, one can bungee jump off the 111m (364ft) bridge linking Zambia and Zimbabwe. One of the best views is at Knife Edge Bridge where the river turns and heads down the Batoka Gorge. This natural phenomenon is known as the boiling pot. The Victoria Falls Bridge offers a view down the gorge on one side and a view through the falls on the other. 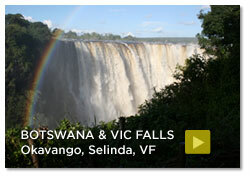 Lodges we recommend on the Zambian side of Victoria Falls.